In the early 1900's, in much of the rural area and communities which the Cooperative serves, telephone service was either very deteriorated or nonexistent. In Highland County, the need for a central legal entity led to the chartering of Mutual Telephone of Highland, Inc. on February 13, 1905. *Adobe Reader required to view PDF documents. Beginning May 1, 2019, Highland Telephone Cooperative will be operating under a new online payment system known as SmartHub. Whether you are making a one-time payment or recurring monthly payments, beginning May 1, 2019 you will need to register as a new user. When registering, it is important to remember to use your new account number. The new account number will be the same as your current account number, and include an additional "00" at the end. For example, if your previous account number was "000000135." your new account number will be "13500." Additional information will be provided in the April 21, 2019 customer billing statement. If there are any questions or concerns regarding the new online bill payment site, please call the HTC office at 540-468-2131, or you may send an email to htc@htcnet.org. We value our customers and your business, and hope that this change will better help HTC serve you! Since 1905, HTC has remained member owned, customer focused and service driven. We work everyday to improve the quality of life for our member and our region. We aim to accomplish this by providing a premier broadband service. You will hear more about our progress as we move foward in the upcoming year. 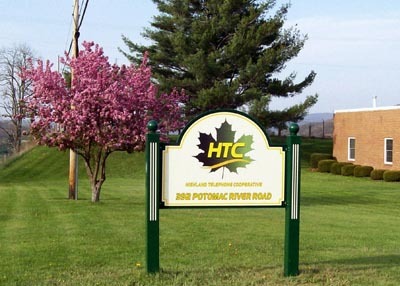 For more information contact our business office at 540-468-2131 or email address htc@htcnet.org. The 2019 edition of the Highland County, Virginia Telephone Directory / Yellow Pages are now available to view online.